Elevation problem after 1.3.4 change. Sudden aircraft drop. Weather should be automatically synced during shared cockpit. Application quit immediately when no network is available. Shared cockpit - often need to click Leave Cockpit twice to leave properly. Some add-on aircraft show mirrored movement on control surfaces. Gear/flaps/autopilot don't synchronize with some deep-sim add ons. Several seconds of jitter during shared cockpit hand over. Aircraft can go under ground during a shared cockpit session with different scenery. Shared cockpit VOR fluctuates, altimeter pressure not synced. Tacpack option should also switch off objects sent from other clients. Non-ascii characters in title cause scan to fail. Helicopters not always showing nickname. Prevent aircraft stress during bad network connection. IVAO MTLs not displayed in aircraft list. IRIS F22 Raptor Driver bounces on taxiway. Weather copying has some strange effects sometimes. Need to handle duplicate model types on different paints. Undercarriage is often raised when new aircraft are inserted, followed by animation to lower it. Certain aircraft "shiver" slightly at low frame rates of 15 and below. Local LAN hub doesn't show in own hub list. Connecting network before simulator causes model matching to select all aircraft as default. Disable Permissions button when selected self. Need to re-order columns in the user list. A few people get a permanent 45 degree bank of other aircraft. Could be aileron trim desync. Aircraft change in X-Plane is now reflected in JoinFS. Prevent taxiing aircraft wandering during bad network connection. Some odd behaviour can occur in shared cockpit. Having more than one co-pilot can cause some issues, e.g. wandering dials and switches. Add AP alt/vertical speed events. Move flaps and gear to 'other' in shared cockpit. Close JoinFS on accepting update request. Refresh button on the aircraft list doesn't move on window resize. Shared cockpit. Flight controls need some work. Fix the slewing that occurs when following aircraft that are at a great distance from the starting point. While entered another cockpit, re-position rather than slew large distances. Some recorded aircraft being broadcast even after recording stops. Shared cockpit. Engine and other controls can be shared. Hyphens should be valid in domain names. Keep UI on top causes problem with dialog boxes. Fixed tumbling aircraft during aerobatics. Problem scanning model files with tabs and quotes. Fixed bug - "Join session, restart JoinFS, join same session". Errors in the data when recording network aircraft. Scan is missing aircraft with 'title = ' due to the spaces. Aircraft detail columns are misaligned in version 1.0.15. Enter cockpit should always be enabled for Recorded and AI aircraft. Need to suppress duplicate aircraft when using both JoinFS and virtual ATC network, at the same time. Canopy moves back and forth when open, on some aircraft. Some cases of missing buttons on the aircraft view. Sometimes there seems to be a problem with model matching. Look out for "Simconnect exception: 3" in the Monitor view. Issue with regularly updated weather. Going to change the way this works slightly. Need to support the new Prepar3D v3 add-on folder structure. Recording other pilots causes their aicraft positions to become chaotic. Fixed twisting aircraft during loop. Auto-broadcast not working on Helicopters. Aircraft still twists at the top of a loop. Not every time, but is still happening. Checks correctly for user aircraft. Might be related to the P3D visibility problem. Aircraft should now show correctly after restarting the simulator. Fixed incorrect repeated line counter in Monitor. Fixed regular crash in P3D. Model matching not working for paints with double quotes in the model name. Lights state needs to be sent over the network/recorded. Helicopters do not work at all. Menu not working on first click. Wrong menu type. Last edited by Peter on Sun Oct 16, 2016 9:35 am, edited 2 times in total. Peter I see that "Helicopters dont work at all" is fixed , but I have 0.4.2 and the helicopters still don't show.. It's in the FIXED 1.0.0 TBA, which means that it's fixed in the upcoming version 1.0.0. Which will hopefully be available this morning as a test version. Hey Peter, tried multiplayer today and it worked great except for the twist at the top of the loop bit on 0.4.2. I sent you an email but got a spam filter message. At any rate, looks like you are already on it. Hi Peter , thankyou for the reply, I understand now !!! 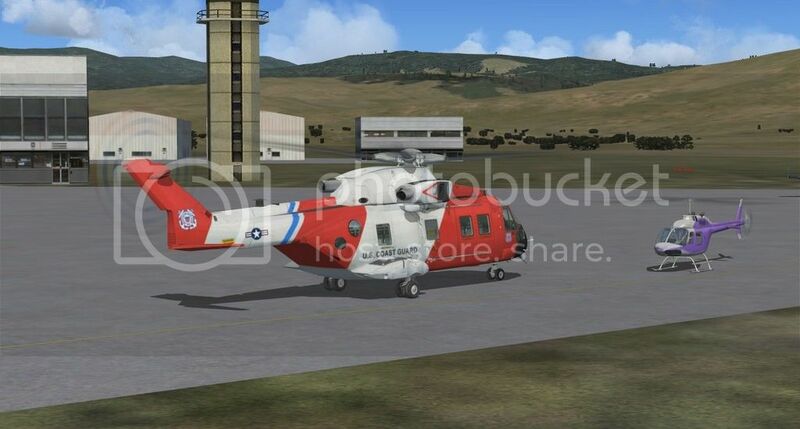 looking forward to the 1.0 version, I tested the 0.4.2 with P3D 3.4 and FSX with great success , (after some frustration with the helos as I did not look first in the bugs section!) also did some recording and play back... very nice!!! Downloaded Ver 1.0.0 and did a test helo flight with another of my VA pilots. WORKED superbly and was very smooth. We were easily able to place each other in different aircraft as well. This is outstanding! I was with Martin on the Helicopter test we ran tonight. I am amazed at the smoothness, animations, etc. Good job. Prior to v (TEST) 1.0.3, "Model Matching" yielded 12,000 models. There are that many because I have an addon AI traffic program. With v (TEST)1.0.3 I am only getting 1,495.
karl wrote: Prior to v (TEST) 1.0.3, "Model Matching" yielded 12,000 models. There are that many because I have an addon AI traffic program. With v (TEST)1.0.3 I am only getting 1,495.
you're absolutely right, I restricted it to just check the two you mentioned as I thought only those contained valid flight models. I've now changed this back to everything in SimObjects. If you get version 1.0.3 again from the website, and reinstall that version you should be okay.